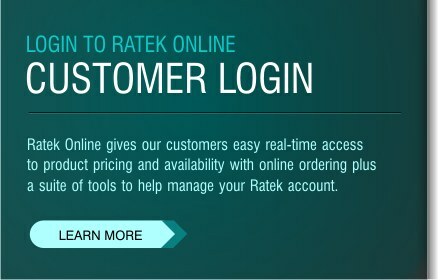 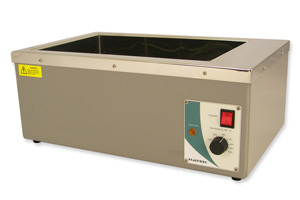 Ratek waterbaths are suited to a variety of incubation and heating tasks where temperature controlled water is preferred. 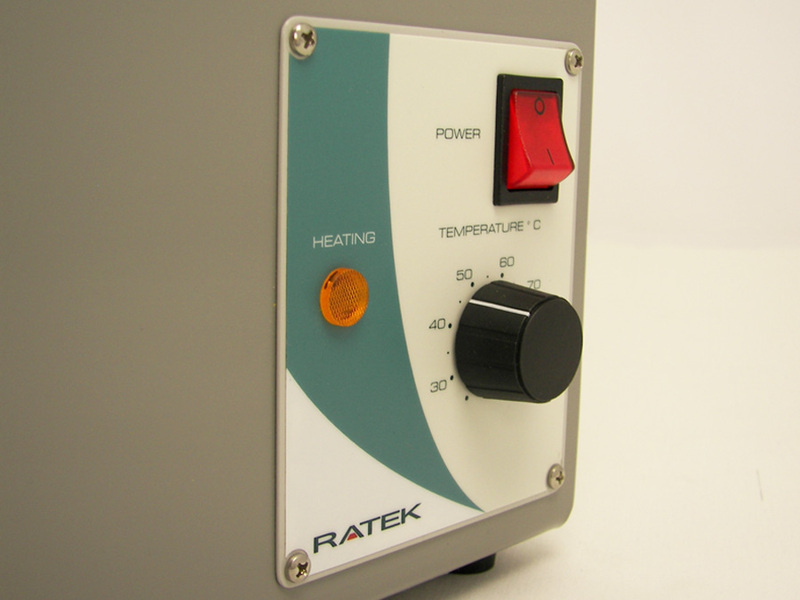 The electronic proportional control ensures accurate and stable temperature control from ambient + 5° to 100°c. 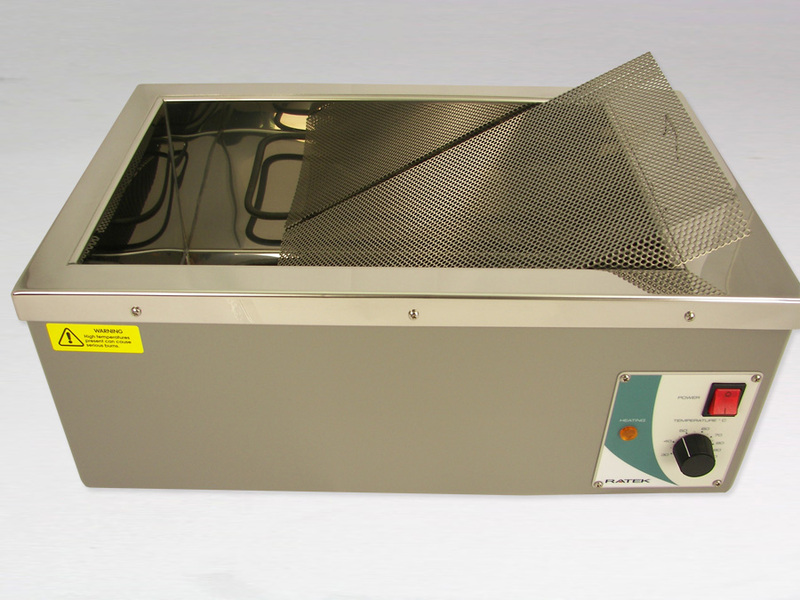 The waterbaths are supplied with a perforated stainless steel panel that covers the heating element and provides a platform for flasks, containers etc. 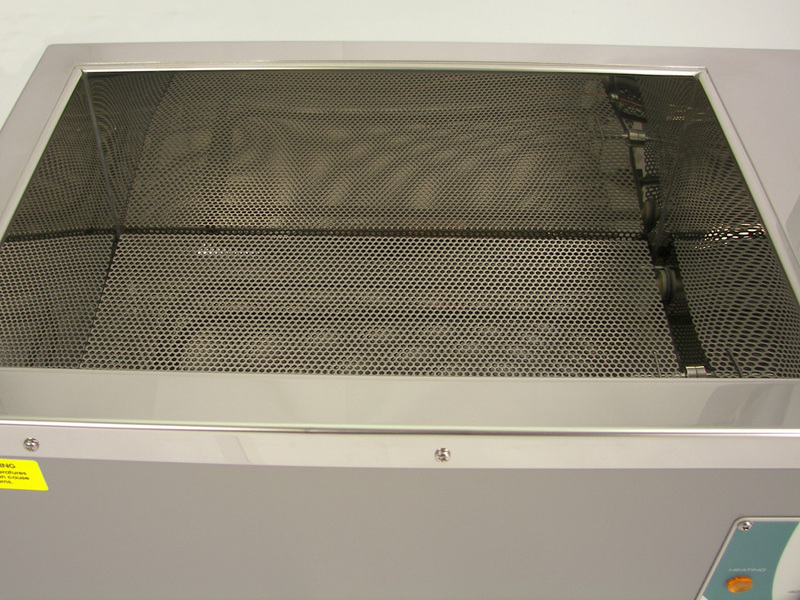 Food grade polished stainless steel is used for the tank, and 25mm of insulation material separates the tank from the outer case. 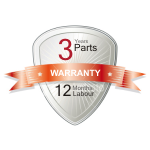 The outer case is manufactured from a corrosion resistant plastic to provide durability. 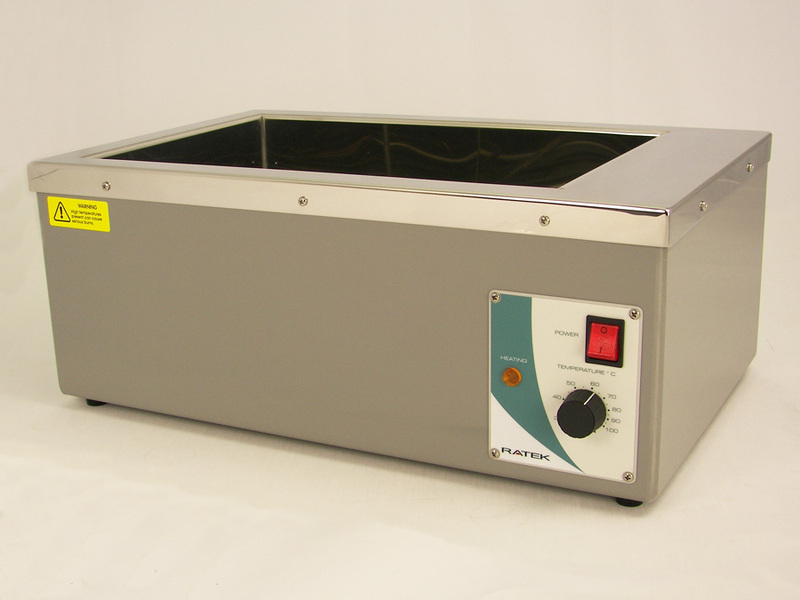 For accurate temperature control and to minimise loss of water through evaporation, gabled lids made from stainless steel or polycarbonate are available.